The Dallas Cowboys almost always wear white uniforms wherever they play. That could change in 2017, as Dallas might be rocking the navy at home this season. When it comes to the Dallas Cowboys, there are three things we’ve come to expect over the years: 1.) They are America’s Team, as there isn’t a bigger NFL fan base in the world. 2.) Dallas plays on Thanksgiving annually. 3.) The Cowboys almost exclusively wear white uniforms wherever they play. Expect the first two to hold true in 2017. 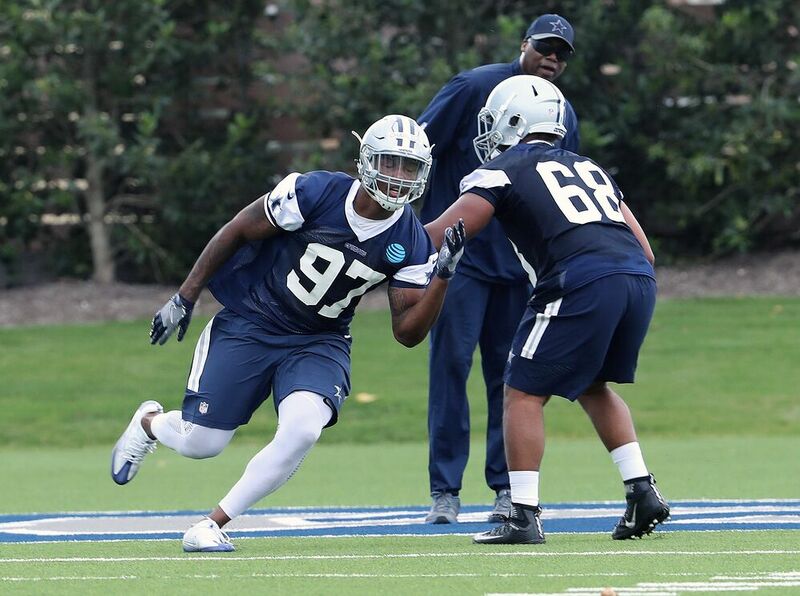 However, we could be seeing a big shift in how the Cowboys look on the gridiron this fall. Dallas could be wearing their rarely used navy jerseys more often during certain home games. The Cowboys have begun to wear the navy threads during their Thanksgiving Day game. While owner Jerry Jones has preferred to have Dallas in their iconic white jerseys most of the time, it’s hard to overlook the amount of revenue the Cowboys make on people buying these navy jerseys. People are more inclined naturally to buy non-white jerseys in retail. Every team wears white, but not every team wears the same home color. Dallas’ navy is a popular jersey among many retail outlets. Since Jones has allowed the Cowboys to wear navy on certain high-profile games the last two years, the dark jersey isn’t as taboo as it once was. Dallas and the SEC’s LSU Tigers are the two most recognizable teams that usually end up rocking white jerseys at home. Rarely does one see LSU in purple or Dallas in navy in any capacity. Obviously, there is zero reason for the Cowboys to do anything to compromise their iconic lone star logo. However, it would be interesting to see how they go about mixing up their jerseys in high-profile games. Expect to see the Cowboys in navy on more nationally televised games at home in the coming years.